The enterprise data center has undergone several major shifts since the introduction of computing as a business resource. Data centers have evolved from mainframes to client/server to virtual servers, and then to being “software defned,” and fnally to their current state of disaggregation. 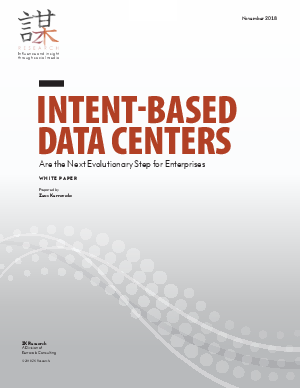 Today, we sit on the precipice of the next major data center transition—the evolution to an intent-based data center (IBDC) Each transition saw the cost of computing decrease and the importance of the network increase, and each enabled organizations to boost the efciency of their data center operations and improve asset utilization—ultimately leading to a better experience for users.